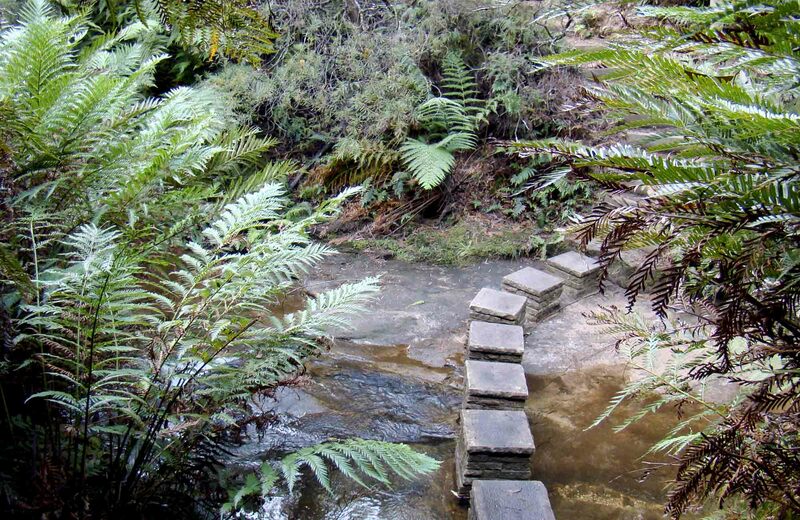 The scenic views and waterfalls make for brilliant photography and walking on moderate Nature track in Blue Mountains National Park, near Wentworth Falls. Empress Canyon, accessed along Nature track, is a popular destination for canyoning. If you don’t have the gear or experience, try a commercial tour. 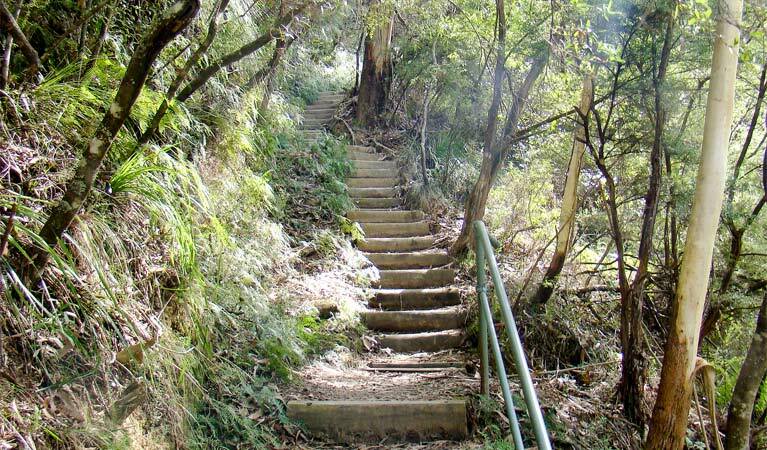 For a magnificent walk that will transport you to another world, step out on moderately challenging Nature track, near Wentworth Falls. 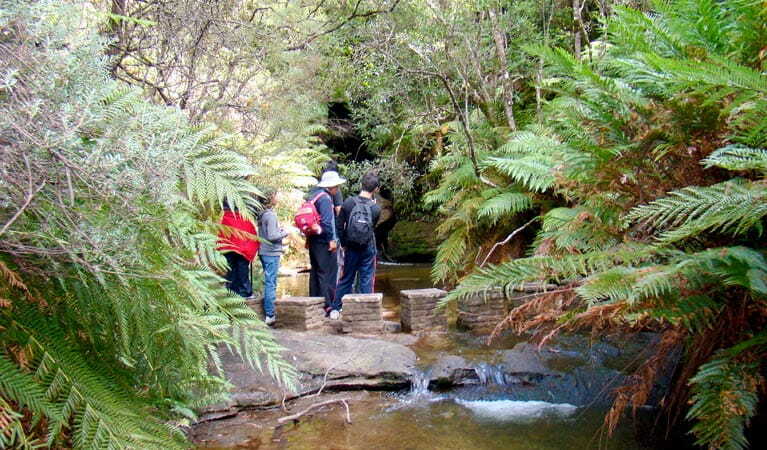 Families and friends who enjoy a challenge will love this medium-level walking track in Blue Mountains National Park. The spectacular views, swamps, lush ferns and tranquil pools make it ideal for photography and swimming. Passing through heathlands, you’ll soon enter a wonderland of lush ferns and ancient swamps as the dense canopy of the rainforest descends. Dare to explore the demonically-named Asmodeus Pool and relax in the eerily beautiful Floras Bath. 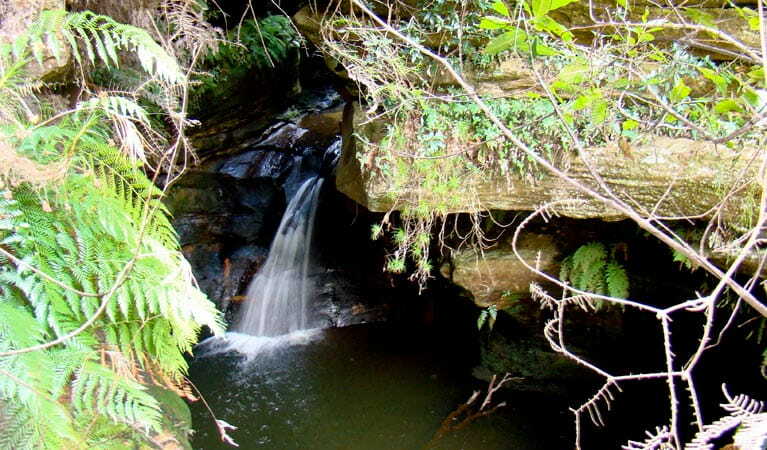 Stop at Isobel Falls for a picnic or simply enjoy the soothing sounds of the waterfall. Upon reaching Edinburgh Castle Rock, soak up the magnificent views deep into Jamison Valley to the south. 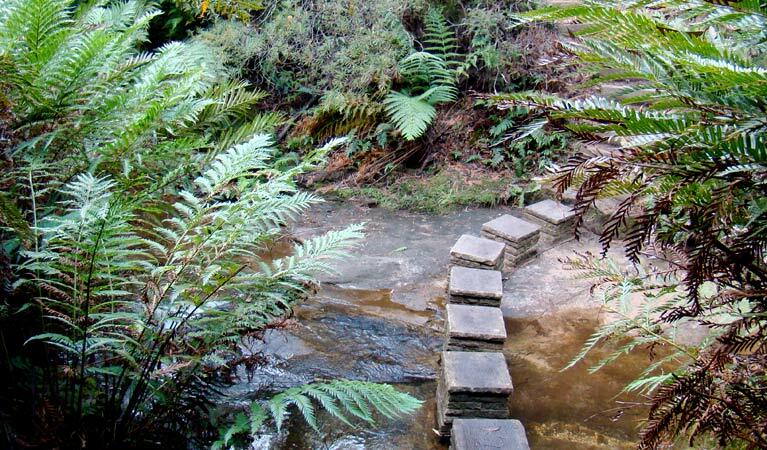 Then, head up through the swamp – via boardwalks and stairs – to complete the loop. After all that exercise, you may not be able to resist a delicious Devonshire tea at Conservation Hut.